The Nigerian naira took a dive on Thursday at both parallel and official markets, becoming the worst performing currency in Africa in 2016. The naira, which began trading at around 283 to the dollar at the interbank market on Thursday, depreciated to 284/$1 to become the third worst performing currency in the world for 2016. Nigerian naira, according to Bloomberg data, came ahead of only two currencies in the world – Venezulan bolivar and Suriname dollar. 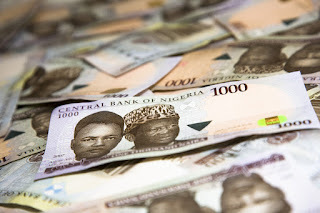 At the Nigerian parallel market, the naira fell to its lowest level since the start of the new foreign exchange regime, trading at 363/$1 and 485 to the pound in Abuja and Port Harcourt. The Euro traded above N390 in Lagos and under 380 in the nation’s capital, Abuja. In 2016, the naira has lost 29.61 percent of its value on the official market, following the decision of the Central Bank of Nigeria (CBN) to allow for a floating foreign exchange regime. The top three performing currencies of 2016 are all universal currencies; Silver, Gold and Platinum, which have gained 45.93 percent, 25.11 percent and 22.79 percent respectively. These currencies are followed by the Brazilian real, the Russian rubble and the Japanese Yen. The best performers in Africa are South African rand, Zambian kwacha, Somali shilling and Botswana Pula, which have gained 8.88 percent, 8.69 percent, 5.54 percent and 4.95 percent respectively. At the base of the African currencies are the naira, Mozambique new metical, Sierra Leone leone, and the Angolan kwanza. The CBN remains “reasonably optimistic” that the naira would eventually settle at 250 to the dollar at the interbank market. The local currency has been on the downward swing following a plunge in crude oil prices and a consequent decline in Nigeria’s foreign reserves.